You can join a dynamic & driven volunteer board of directors! First, become a member of the CYCABC and let’s get connect! Send a message to admin@cycabc.com so that we can let you know about volunteering opportunities. Janet Westcott has served on the CYCABC Board of Directors for since 2009. Most recently, Janet has served as the board’s President. Janet’s interests include expanding the Association’s profile and developing a hub for Child and Youth Care practitioners. Janet has been as a dedicated CYC Counsellor for approximately 18 years, and is currently the Director of Children and Youth for Hollyburn Family Services, managing multiple programs serving children and youth. Janet has spent the last 15 years working in residential stabilization and assessment programs for children and youth. She has supported people experiencing substance use, high-risk behaviours, mental health issues, abuse and neglect as well as children, youth and young adults with multiple diagnosis including Autism, ADHD and FASD. She was the first supervisor of the North Shore Youth Safe House, a youth shelter aiming to reduce homelessness run by Hollyburn Family Services in North Vancouver. Her past experience includes work in communities such as Squamish and the Sea to Sky Corridor, North Vancouver and East Vancouver and includes duties such as program development, enhancing community profile, fundraising, care plan development and execution, and stabilization of high-risk behaviours. She was an integral member of the committee to open the Squamish Youth Resource Center. Janet believes that it is important for social service practitioners to be part of a professional organization to support ethical practice. She feels that the CYCABC is an important vehicle to connect practitioners to each other, build resources and find support. Jessica is a Supervisor of Residential Services for Hollyburn Family Services in North Vancouver. She has her diploma in Child and Youth Care and has been working with youth and families for 9 years. This includes running after school programs for pre-teen girls with the Vancouver school board, supporting teen mothers as they transition into independence, running summer day camp groups for the City of Vancouver and working with First Nations Communities . This will be her third year on the board serving as treasurer. She is enthusiastic about the work that the Association is doing and she is looking forward to being a part of the positive changes that lay ahead. In 2009, Taelor graduated with a Diploma in Child and Youth Care Counselling, and in 2015, achieved their BA in Child and Youth Care. “In 2015, I attended my second workshop put on by the CYCABC. This workshop was different in that the AGM was held at the end. During the AGM, nominations from the floor were accepted for the Board position of Member at Large. I requested to be nominated for one of the two positions and have been in this role for the past year. I believe that the lessons I have learned over this past year have put me in a position to fulfill the mandate of the Secretary on the Board of Directors of the CYCABC. I passionately believe in all of the Association’s objectives, but feel especially strongly about the first one: “To enhance and promote the profession through the adoption of standards of practice for our members and move toward regulation of the profession within the province”. I believe the only way we can accomplish this goal, as well as the six others, is through the concerted efforts of not only the general membership, but with the leadership of a strong board of directors. JJ currently works with the Vancouver Parks Board as a Community Youth Worker on unceded and traditional territories of the Squamish, Tsleil-Waututh and Musqueam nations. Their experience includes work with young people through community non-profits, special needs care, youth safe house, recreation and school settings, all through a framework of youth empowerment and engagement. JJ is inspired by the ingenuity and resourcefulness of the young people they work with. As a member of the CYCABC, JJ recognizes the value of developing as a professional helper in the field. They feel that the CYCABC offers great chances to network and create helping friendships between work groups & across ‘silos’ that often divide our work. “I am a proud and passionate Youth Worker who graduated from UVIC’s School of Child and Youth Care in 1986. In the interim years I have worked in the areas of Traumatic Brain Injury, Aboriginal Education, Drug and Alcohol Education and Intervention, and School Based Youth Work (primarily intensive behavior support). The last 18 years I have worked with the Abbotsford School district with all ages K-12 and am now one of two Youth Workers on the Leadership Team for the Learning Support Services Department. We mentor the school based youth workers and provide information, resources and support to them on an ongoing basis. I am also responsible for a program re-engaging at risk students and working with them and their families to provide opportunities for school completion. 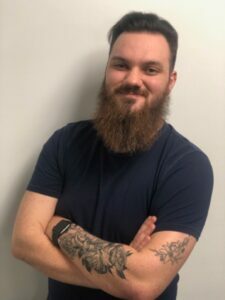 Cody currently works as a Youth Transition Worker (Child and Youth Care Counselor) with Options Community Services, on the unceeded territories of the Katzie, Kwantlen, and Tsawassen Nations, in the area now called Surrey, British Columbia. His experience includes non-profit, youth engagement, recreation, behaviour, residential, and post-secondary based work with children and youth, advocating for youth voices to be primary in our work alongside them. Watching, and hearing young people shift in their approaches to problem solving, and increasing their capacity for community involvement, empathy, and care is the greatest part of Cody’s job. 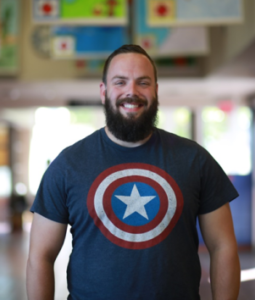 As a member of the CYCABC, Cody looks to connect youth-serving employers to continue aligning their values towards the strength-based, holistic values that we see as integral to youth feeling supported. The importance that Cody sees in the value of the work that the CYCABC offers is the ability to connect with people we share common viewpoints and, more importantly, to connect with others in our field that share different values and perspectives, to continue learning and sharing what the best approaches we can collectively take to ensure growth within our Child and Youth Care Field. Cody encourages future CYCABC members, especially students, to invest in their careers early; because with each moment spent on early training in school, or shortly after, the better opportunities you will experience later. Each generation of Child and Youth Care is able to increase our ability to better serve all communities, let’s do it together.